Awesome Video Graphics Card For The Price! Have not played since 10-14-12, played everynight up until that time. Ran a BF3 server for 6 months, had a 40 member platoon, 16 member clan but sort of broke up when we shut the BF3 servers down. Think I burned myself out of BF3, just stopped playing after that 10-14-12 evening. Couple of the guys & gals around trying to get me back into BF3, I’ll give it a shot again soon maybe. 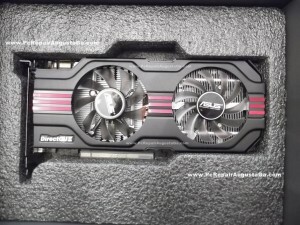 Purchased the Asus GTX 560 DCII 1GB GDDR5 back in August 2011 for a computer build in preparation for Battlefield 3 release date on 10/25/2011. Accompanied with the AMD Phenom II X4 Quad Core 3.2 Ghz 955 Black Edition, this base “Recommended System” card for Battlefield 3 has been an EXCELLENT VIDEO CARD! For the price then and now, has performed very well with high frame rates using BF3’s High & Ultra settings using a 24″ 1920 x 1080p screen resolution. I truly believe the Quad Core cpu is what helps, contributes to the great performance of this video card on BF3. Have not lagged or stuttered once On High OR Ultra BF3 settings with this video card. Played every night, and this Asus GTX 560 has worked flawlessly. Enabling all tweaks or turning on all video settings mentioned above I get about 10-15 less FPS on both Ultra & High numbers listed above. 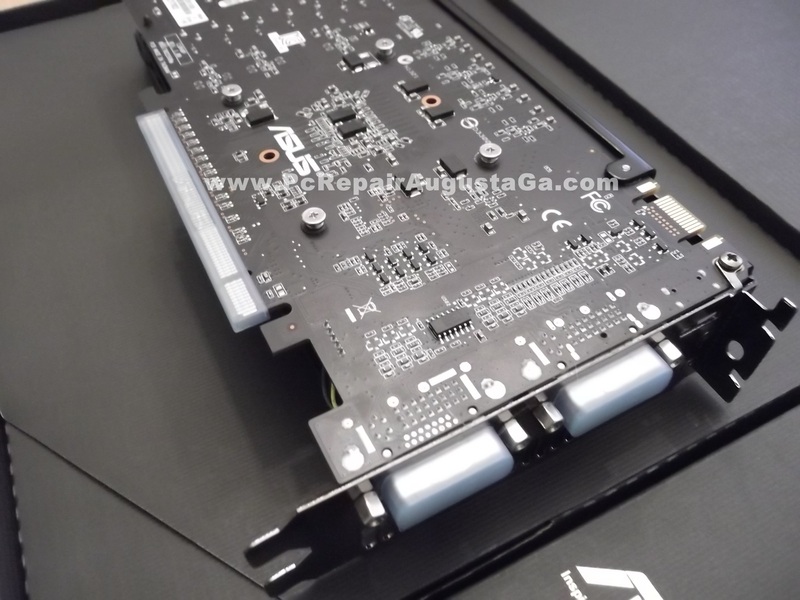 Overclocking the Asus GTX 560 Video Card to from stock 850 Mhz core clock, to max OC at 968 core clock adds only about 5 – 8 FPS to above Ultra & High FPS numbers. Overclocking the Phenom CPU from stcok 3.20 Ghz clock, to 3.9 Ghz adds about 8-10 FPS to the above Ultra & High FPS numbers. Overclocking Both CPU & GPU adds about 10-13 FPS to the above Ultra & High FPS numbers. Have only ran BF3 with the overclock hardware a few times, there is really no need to overclock, System hardware runs Battlefield 3 just fine on High game settings just fine at stock speeds. “Smooth As Butter” on BF3 High game settings. Overclocking the GTX 560 only amounts to 5-8 fps increase, it is really not worth over working the video card. Video Drivers: I have had the same performance, same temps so far with all verions, new driver versions since the release of BF3. Again,, Asus GTX 560 is running on the AMD Phenom 3.2 Ghz Quad Core 955 Black Edition cpu, 8 GB of system memory on Windows 7 64 bit mentioned above. I later upgraded the system memory of the pc from 8 GB to 16GB. Price of DDR3 for 8 GB was only $45, could not pass it up. BF3 does ok with 4 GB, better with 8 GB. I truly believe the AMD Quad core 3.2 Ghz enhances the smooth BF3 gameplay of this Asus GTX 560. Quad Core at least for BF3, AMD or Intel is your choice & budget. BF3 is a very advanced GPU & CPU intensive game. Yes, your GPU (graphics card), your cpu in this game is just as important. The Asus GTX overclocks very well even at stock voltage. Can run stable boosting core clock up from 850 to 968 Mhz before the video driver crashes out on me. Have had the Shader Clock overclocks to 1950 Mhz from 1700 Mhz stock. As well as this card runs at stock card speeds, and even the substantial overclock numbers above, I cannot or have not been able to increase the stock voltage on this Asus GTX 560 at all. Even though Asus’s site on this card shows there software included, which it is, for “tweaking the voltage”,, voltage will not increase with Asus software OR MSI Afterburner. 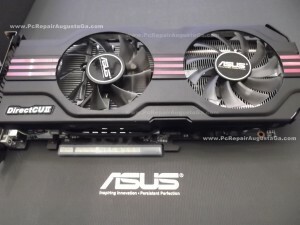 The Asus GTX 560 runs BF3 well over 60+ FPS on high in game settings at stock speeds, VERY smooth, so there really is no need to overclock the card. 5-8 FPS increase is all you’ll basically see with the maximum overclock. And the overclock I am able to get on the card, from 850 Mhz stock to 968 Mhz OC speed is quite a jump as it is. I use MSI Afterburner Video Card Utility program for this Asus GTX. MSI Afterburner has everything I need to run this GTX 560: overclocking, temp monitoring, FPS, game video recording, game screenshots much more all with OSD – ON Screen In Game Display to. It’s ashamed I have not been able to increase the voltage on this card, the card temperatures during BF3, and it’s cooling capabilities is excellent. 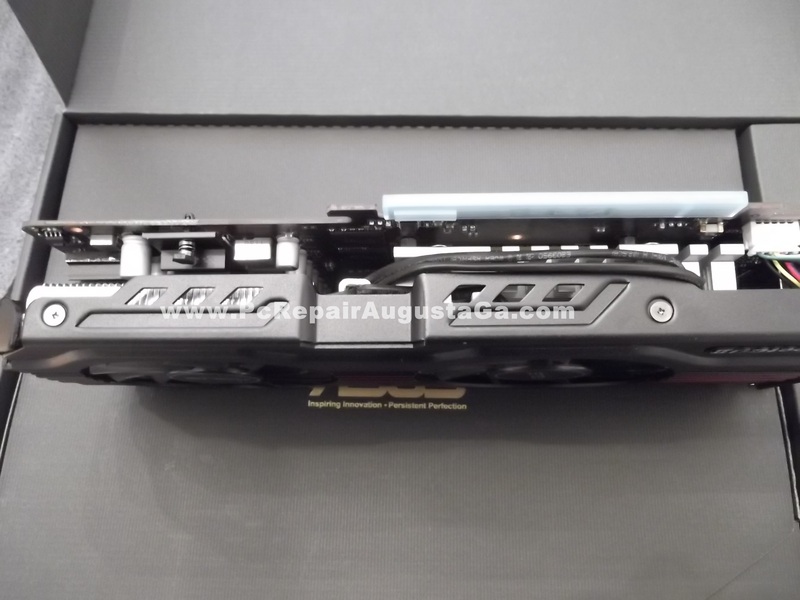 For the Asus GTX 560 has a very unique cooling design. 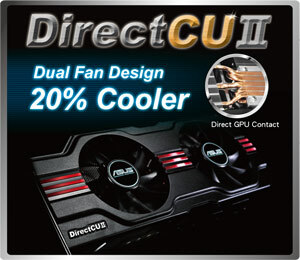 Along with 2 cooling fans on the GTX 560,, “DCII” is for “Direct Contact”, the GTX 560’s copper heatsink pipes touch the GPU directly. It’s copper heatink tubes or pipes make direct contact with the GPU which enhances the heat transfer and cooling properties of the GTX 560. With most video cards the GPU makes contact to a copper plate, then the heatsink tubes join with the copper plate. 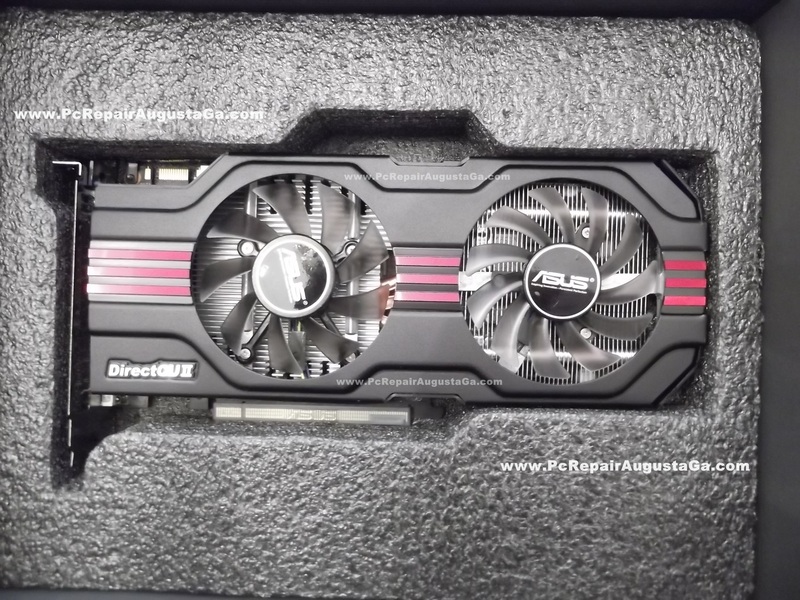 This Asus GTX, heat pipes make direct contact with, and touch the GPU directly.. resulting cooler temperatures, and a very fast cool down of the video card to. REALLY stresses , or pushes Video Cards to maximum heat output, runs the Asus GTX 560 at 82-84 celsius. Be careful with Furmark, this utility REALLY stresses video cards. The Direct contact copper heatpipes, and 2 cooling fans right on the heatsink does make a huge difference in cooling for this card by Asus! Plus I do pull this card about every 3 months and blow any dust out of the card, and case filters. I have filters on all my intake case fans, dust on the Asus GTX 560 has been minimal. This is all in a Cooler Master CM690 case, which is one of the best cooling air flow cases around for the price. 3 – 120mm exhaust fans (2 top case, 1 rear exhaust). 1 – 120mm front intake fan, 1 – 140mm side panel intake fan. 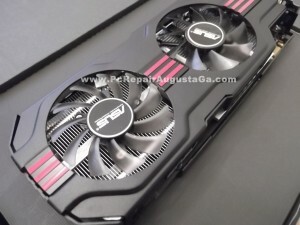 The 140mm side panel fan blows cool air in towards the GTX 560. The Cooler Master CM690 front is all aluminum mesh venting, top case is the same. Yes currently there are much better video cards out there today, The Asus GTX 560 is I’m guessing a year and a half old as far as launch date. Selling now for around $149. A 2GB video card would do better, especially on the high terrain maps like Caspian Border. But I’m telling you with a Quad Core, 8 GB memory, Windows 7 64 bit & this Asus GTX 560 it runs BF3 flawlessly. Have since upgraded the system memory to 16 GB, for $45, could not pass that up. For what I paid back in Augusta of 2011, and the price on the card even now, excellent card all round. For the price this video card will do, and does do BF3 for me VERY WELL! I have seen & read in other forums, others with the GTX 560 and having problems with low frame rates and stuttering. Others complain about only getting “30-40 FPS”, I don’t quite understand this. This setup has run smooth as butter for me. Have played BF3 since release for 12 months every night and high settings average 70+ – 110 FPS. 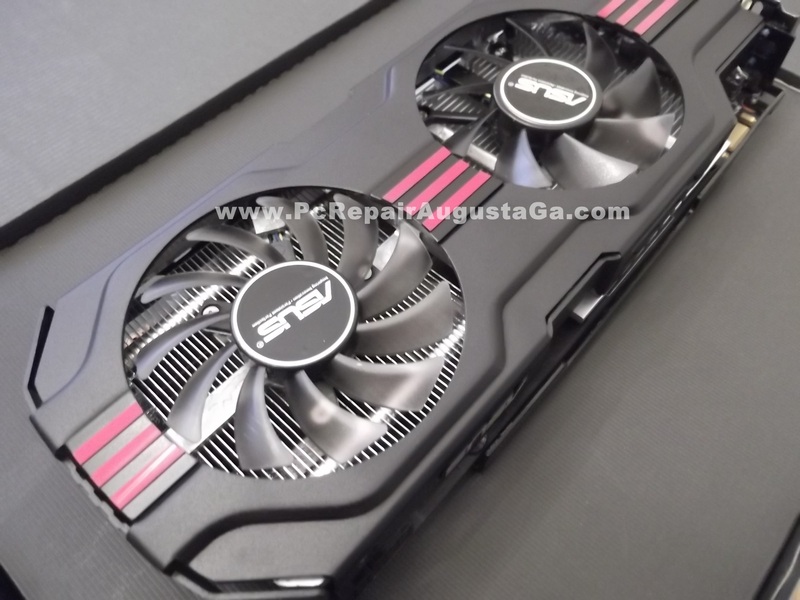 This is an Asus GTX 560 that I own. EIther they are playing with lower end, dual core cpu or something is wrong with there operating system, running computer in general not sure. 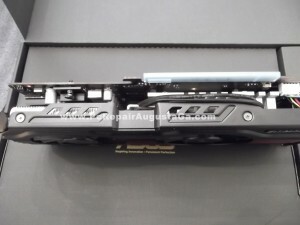 One thing I must mentioned, be careful cleaning this card even with compressed air, the fan blades are VERY thin. I accidently snapped 3 fan blades off the rear fan blowing with a compressed air can. Just touching the fan blades when removing card can snap a blade off. The fan still spun up but had a vibration, 1 fan was off balance missing 3 blades. Removed the damaged fan, and temporarily was able to strap a 80mm around the outside casing on that fan hole blowing into card. Then luckily found an exact Asus replacement fan on ebay from Hong Kong. Installed new replacement fan, and while I had this GTX apart installing replacement fan, I re-pasted the GPU with Arctic Cooling MX2 Thermal compound. All well again, runs great! IDrive – FREE 5GB Backup Account – Protect your digital life with IDrive online backup.